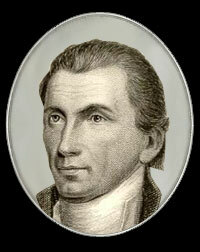 President James Monroe's seventh annual message to Congress put "European Powers" on notice that American continents were off limits to European colonization, and that any attempts to intefere with American lands would be considered the "manifestation of an unfriendly disposition toward the United States." The late events in Spain and Portugal shew that Europe is still unsettled. Of this important fact no stronger proof can be adduced than that the allied powers should have thought it proper, on any principle satisfactory tothemselves, to have interposed by force in the internal concerns of Spain. To what extent such interposition may be carried, on the same principle,is a question in which all independent powers whose governments differ from theirs are interested, even those most remote, and surely none of them more so than the United States. Our policy in regard to Europe, which was adopted at an early stage of the wars which have so long agitated that quarter of the globe, nevertheless remains the same, which is, not to interfere in the internal concerns of any of its powers; to consider the government de facto as the legitimate government for us; to cultivate friendly relations with it, and to preserve those relations by a frank, firm, and manly policy, meeting in all instances the just claims of every power, submitting to injuries from none. But in regard to those continents circumstances are eminently and conspicuously different. It is impossible that the allied powers should extend their political system to any portion of either continent without endangering our peace and happiness; nor can anyone believe that our southern brethren, if left to themselves, would adopt it of their own accord. It is equally impossible, therefore, that we should behold such interposition in any form with indifference. If we look to the comparative strength and resources of Spain and those new Governments, and their distance from each other, it must be obvious that she can never subdue them. It is still the true policy of the United States to leave the parties to themselves, in hope that other powers will pursue the same course. . .